While Call of Duty: WWII did just come out a couple of months ago, all eyes are on what Activision intends to reveal next in the series. It’s Treyarch’s turn once more, and the developer proved to be quite effective with 2015’s Call of Duty: Black Ops III, which continues to be on the best-seller lists, even years after its release. But now an analyst has provided some information in terms of what the company’s next game could very well be – and it probably shouldn’t be too big a surprise for Treyarch fans. According to Marcus Sellars, an industry insider who also works for various Nintendo sites, Treyarch is hard at work on Call of Duty: Black Ops 4, which will likely arrive later this year, in the same timely fashion as other entries in the ongoing first-person shooting series. And what’s more, along with its traditional releases on Xbox One, PlayStation 4 and PC, this could mark the debut of the franchise on the Nintendo Switch. 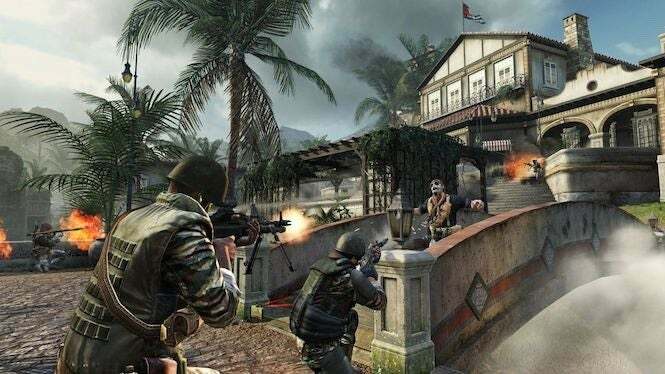 A specific studio that’s reportedly working on the Switch hasn’t been named, but Activision has a small handful of teams that have worked on Call of Duty games in the past, including Beenox and High Moon Studios, so it could be any of those teams. Neither Activision nor Treyarch (or, for that matter, Nintendo) have said a word about this game, mainly because it’s wayyyyyy too soon in Call of Duty: WWII’s current run. More than likely, we won’t hear anything until at least April or May, leading into its release later this year. But still, it’s not too much of a shocker that Activision is finally giving the Switch some consideration. The game has been gaining ground in sales, and Call of Duty seems like a natural fit for the hardware. For that matter, Call of Duty: Black Ops 4 could serve as the ideal game to get people on board for Nintendo Online when it arrives. We’ll keep you informed on what Activision confirms over the next few months. For now, take Black Ops 4 with a grain of salt – but don’t put it behind you too much. Something like that sounds very possible, especially with Black Ops III’s success.